Warsaw Royal Route stretches over 11 kilometers. Almost in the middle of the route there are unique places – the Royal Lazienki Park – the green heart of Warsaw and a top Warsaw highlight. 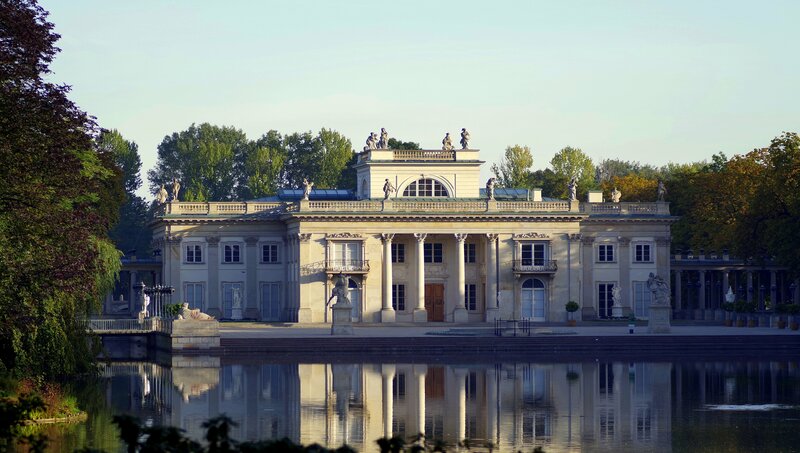 The complex is filled with beautiful 18th-century architecture remembering the last Polish king. Locals love strolling along the park, feeding squirrels and taking selfies with peacocks. At the end of a tour (from the middle of May until the end of September), open-air Chopin Concerts will be the icing on the cake. There's no fixed price for the tour and you always choose how much the tour was worth. Please note that your donation is the only remuneration that the guide gets. If there are spaces left there will be no problem joining the tour later. We can only hold reservations until 10 minutes before the starting so it is very important to arrive on time. The tour can be also full and late arrivals won’t be able to join in. This also includes guests with a reservation as their space will have been given away to the other people. If there are spaces you can join the tour without reservation. Without reservation we can’t guarantee that you there will be one. e have often fully booked tours so we advise you to reserve a spot on our website, especially on the weekends. Our booking is free of charge. Our groups are limited to 25 guests.We want to ensure the highest quality of our tours. On the base of our experience, we know that the suitable number of people in the group allows our guest to have the best opportunity to explore Warsaw. We create this opportunity. During our tours, guests can hear the guide well, the guide fulfills the whole planned programme and even more and everyone can easily talk with the guide (during the tour and after it).